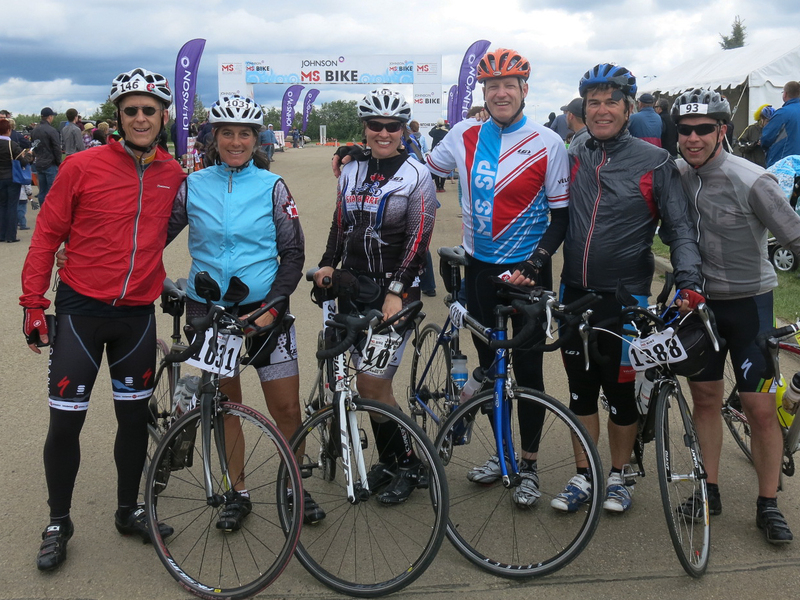 This weekend I had the privilege of riding in the MS Bike Tour from Nisku to Camrose and back. I consider it a privilege as I ride with the support of some incredible friends and relatives who this year contributed over $2000 to the MS Society. I ride because I can. I ride for those who can’t. I ride with a wonderful group of people under the name Team Pronto. 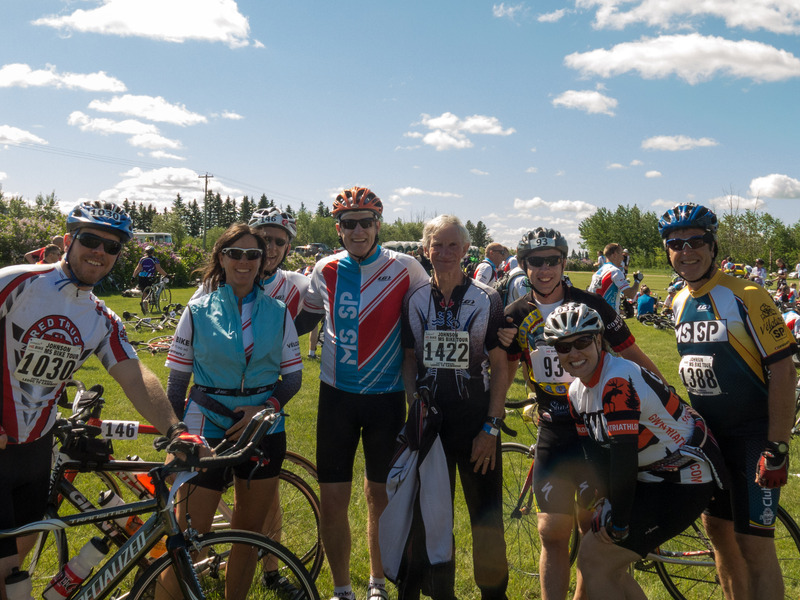 Saturday morning was sunny and cool when most of our team managed to find each other in a crowd of nearly 2000 riders at Ritchie Brothers Auction site in Nisku, just south of Edmonton. First on the agenda was to assemble for the team photo. After a start-delay of nearly 45 minutes, due to parking lot issues that delayed the arrival of cyclists, we were on our way. With the wind behind us we sailed along, with brief stops at a couple of checkpoints, to arrive in Wetaskiwin for lunch. 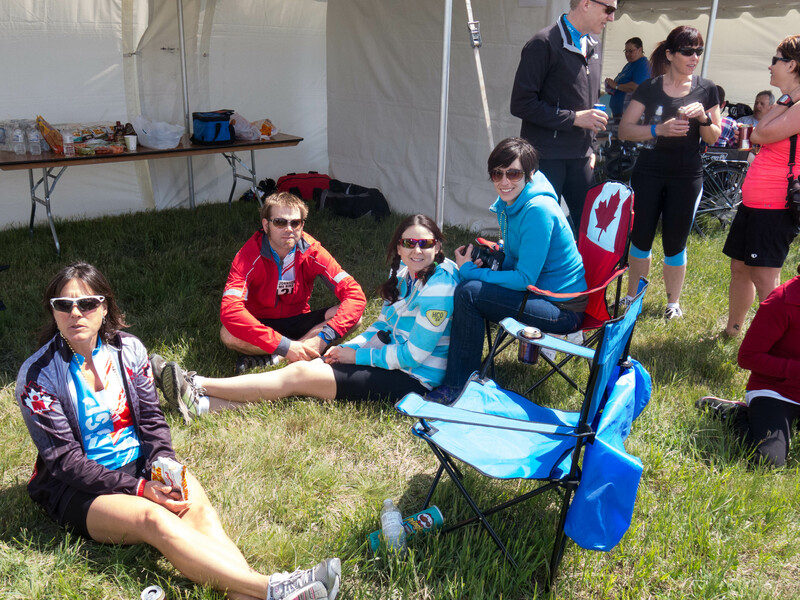 After a hearty lunch, a bit of rest and some visiting with fellow riders we were again on our way to Camrose. The tail wind held and we arrived in Camrose in what most of us figured was record time. The first day of the ride terminates at the Camrose Regional Exhibition grounds. A portion of the grounds is set up as a riders village sponsored by Filmore Construction. Ringing the village are tents for the 10 top fundraising teams from the previous year. 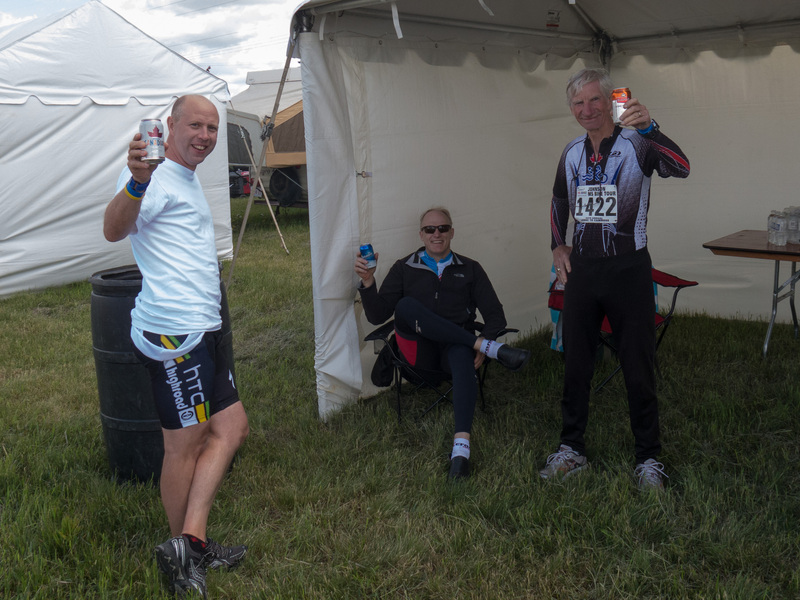 As our team qualified for a tent, most of our riders dropped by once they arrived at the finish line. The tent makes a great place to meet, visit, enjoy a libation or two and share stories. The evening is highlighted by a banquet and dance. For most of us it is a fairly early night and an equally early morning. Most of our team, along with most other riders, stay in the dorm at the Augustana Campus of the U of A. By 7:00 am most of us were back at the exhibition grounds for a pancake breakfast. In contrast to Saturday morning, Sunday morning was chilly with a cold wind blowing out of the north. With the wind in our face our progress back to Nisku was somewhat slower than our ride to Camrose. As always it felt great to cross the finish line. A challenging way to do the tour! And now the final preparations begin for the Tour du Canada.